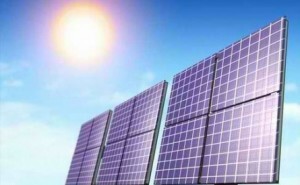 Several renewable energy experts in the Kingdom have said the country could start exporting solar energy by 2015. 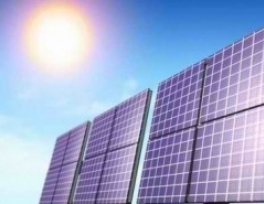 They said the Kingdom of Saudi Arabia, which receives ample sunlight, is in a good position to be one of the largest providers of solar energy in the world, if the industry is developed commercially. According to a solar energy expert in Baden, Switzerland, the development of solar energy in the Kingdom has retracted slightly. The reason is unknown but it is thought it may be due to pressure from petroleum companies. “Whatever the reason, the Kingdom must utilize the latest technology in harnessing solar energy, such as washable solar panels that are suitable for the hot and dusty weather. The Arabian Peninsula is characterized by the abundance of sunlight throughout the year but the utilization of solar panels has been very modest,” said the unnamed expert. Osamah Al-Felali, energy professor at King Abdulaziz University, said if solar energy is developed commercially, the Kingdom can be a source of such energy for many countries. Al-Felali cited the example of the water desalination stations run by solar panels in Al-Khafji as a model that other stations in the Kingdom can emulate. Studies on renewable energy indicate that the United Arab Emirates and the Kingdom of Saudi Arabia are leading the way in building solar power stations. These studies have also pointed out that the Kingdom of Saudi Arabia is the second largest exporter of solar energy and is expected to be the leader in solar energy production by 2015.